In a town hall meeting this week, citizens showed that they still have a lot of questions for the Dallas Police Department in regards to the cold blooded killing of Botham Jean. 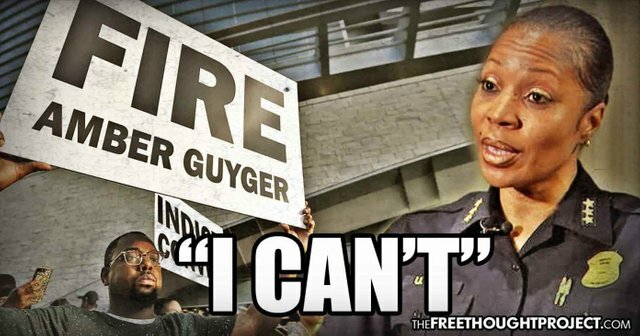 On top of questions as to why it took several days to arrest the cop — despite the fact that Guyger admitted to it — were questions like why this person who has proven to be a threat to society has yet to be fired from the police force. They charged her with manslaughter how do they know it wasn't pre meditated? She had an apartment below this man maybe he played loud music or walked heavily and she hated him for this and decided to murder him this way? If this was someone who wasn't in law enforcement they would have charged them with the highest level pre meditated murder and make them prove their case in court or accept a plea deal for a lesser offense like manslaughter.